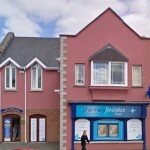 Pharmacy First Plus Tower, situated in the beautiful Tower Shopping Centre, near Blarney, has a state-of-the-art dispensary specifically designed to ensure your medicines are prepared in a safe and efficient manner. Our friendly and approachable pharmacists are happy to answer your health queries. We have a cosmetic counter as well as first aid, skincare and vitamin expertise. Pharmacy First Plus Douglas, located in the Douglas Village Shopping Centre welcomes community patients to the pharmacy from anywhere as well as taking care of local nursing homes. We are proud to be located in a top class shopping centre so easily located to both our regular patients and people passing through the centre. Douglas also has Clarins expert Denise and Dior expert Anita to cater for your cosmetic needs! 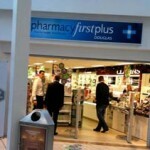 Pharmacy First Plus Glanmire is situated in the Hazelwood Shopping Centre. In Glanmire we have not only got an excellent and approachable dispensary staff, we also have our Clarins expert Maureen to cater for your cosmetic needs. Glanmire also has our main photolab. Pharmacy First Plus Northside, situated in Onslow Gardens adjacent to the Onslow Gardens Dental Practice has recently been refitted and supplied with top of the range facilities and as a result we have seen a huge growth in the range of services we have been able to offer our patients, growing our blister packing services and increasing our patients exposure to our pharmacists. 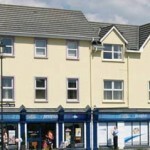 Since opening in 2009 Pharmacy First Plus Grenagh has grown to become a top class pharmacy engaging with the local public and providing innovative and exciting services to the people of Grenagh. The staff of Pharmacy First Plus Grenagh are constantly working hard to ensure that the patients and customers get a first class healthcare and retail experience with each visit.